“Paneer Biryani”, a super delicious Indian rice entree. Perfect to make for lunch any day of the week, but more so on the holidays and weekends. 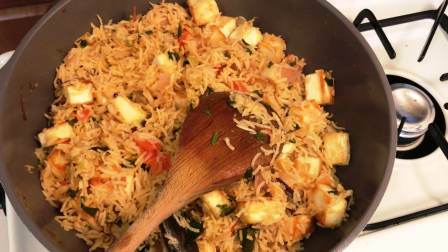 This biryani needs just a short time to prepare and needs just one pan, making the cleaning process as easy as the cooking. Also, in addition to that, it has a ton of flavor making it my choice for any celebration during the upcoming holidays. 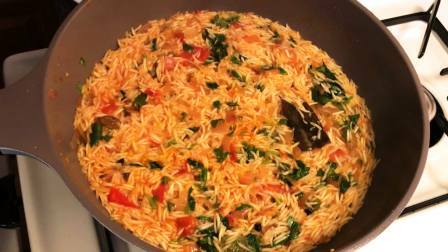 Basmati rice is the perfect rice to cook biryani and other Indian dishes like Pulav. Soak the basmati rice for 20 minutes. 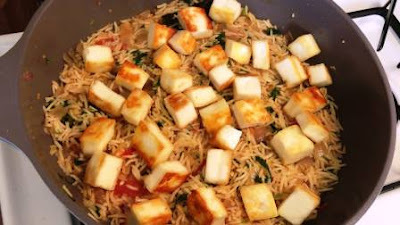 Cut the paneer into 1/2 inch cubes. 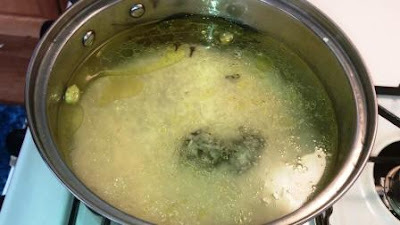 While rice is soaking, heat a pan and add 2 tsp of desi ghee. 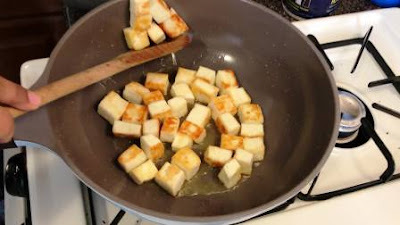 Once ghee is hot and melted well, add paneer cubes and fry till golden in color. Make sure to fry all the sides. Transfer into a bowl and keep aside. 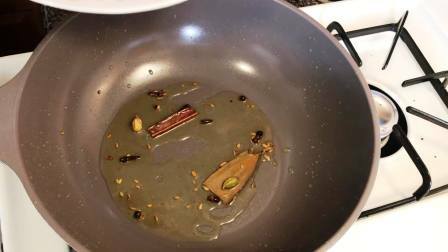 In the same ghee, add cinnamon stick, cloves, cardamom, fennel seeds, black pepper corns, bay leaf and fry it. 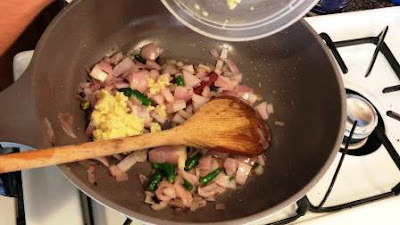 Then add chopped onion, green chilli and fry it. 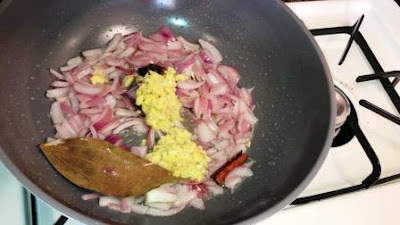 Once onion wilted, add ginger garlic paste and fry it. 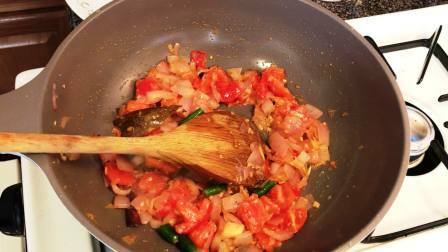 When raw smell of ginger garlic paste goes off, add chopped tomato and stir it. Cook for 3 minutes. 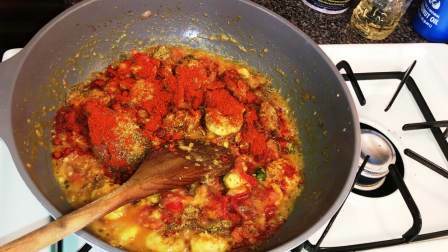 Then add turmeric powder, red chilli powder, garam masala and mix it. Now add soaked basmati rice and give a stir. Then add 3 cups of water and enough salt as per your taste and mix it. After 75% cooked, add coriander leaves and mint leaves. Water would not be drained completely at this stage. On top of that spread fried paneer and cover with an aluminium foil and cook in low flame for 20 minutes. 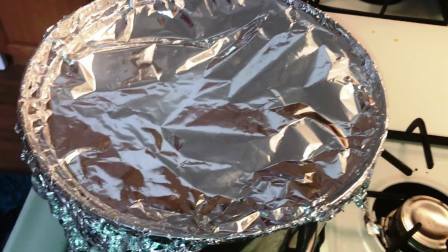 After 20 minutes, remove aluminium foil and gently stir the briyani. 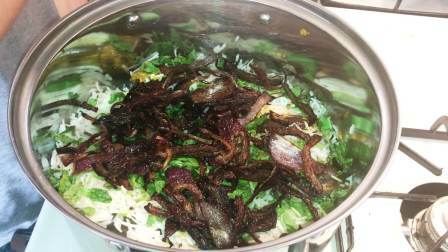 Now tasty briyani is ready to serve. 1. Boil methi leaves, mung dal and cumin seeds together and eat two or three times a week. 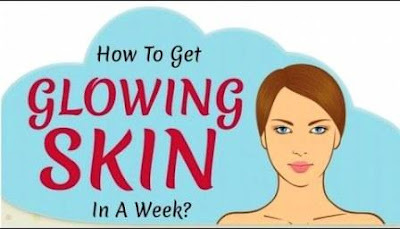 This will cool down your body heat and remove face wrinkles. At the same time the face becomes shiny. 2. Drinking Orange or Carrot juice one or two times a week, will make your face into golden in color. 3. Mix Sesame oil and Badam oil in an equal ratio. Rub into entire body and do little massage before bath. While taking bath wash oil using gram flour and then with clean water. After the bath you can observe that your face is very fresh and glowing. You can use combination of olive oil and coconut oil as well. This will make your face young. 4. Soak little mung dal in coconut milk and then grind it to smooth paste. Apply this paste along with little turmeric powder as a mask. After drying, wash with clean water. This makes your face soft and bright. 5. To remove black spots from your face, use the paste made using coriander seeds, turmeric powder and do masking. Once dry wash with clean water. Follow these steps for few days. 6. Pick young basil leaves, neem leaves and dry under sunlight. Make this into fine powder and store it. 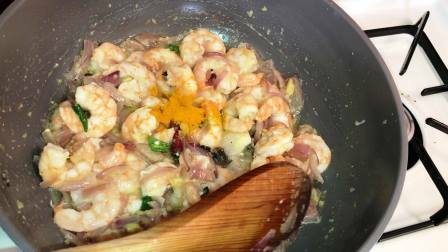 Mix this spoon of powder with gram flour and lemon juice and apply into the face. Leave it for 10 minutes. Then wash with cold water. This will remove dark spots and brighten your face. 7. Take the white nostril of chicken egg. 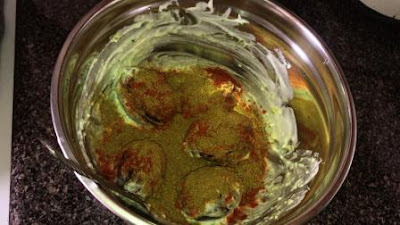 Mix the ground almonds paste with the white nucleus of the egg. 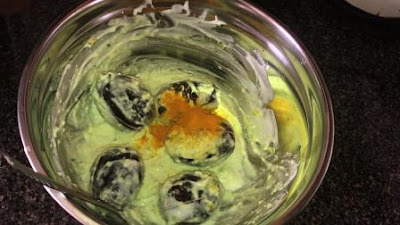 Add a little bit of lemon juice with this mix and leave it for 15 minutes. Then wash the face with your favorite soap. This will remove the wrinkles on the face. 8. 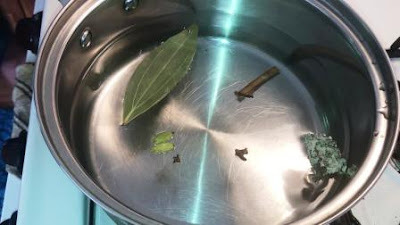 Add 2 tsp of tea dust with basil leaves and two cups of water and boil till its quantity reduced to half cup. Then filter it and cool down this water. Apply this water into the face daily. This will remove acne. 9. 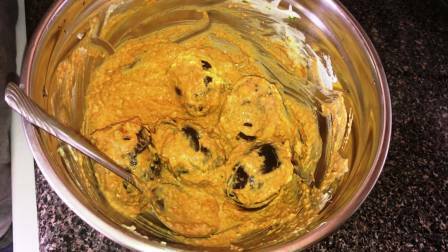 Mix curd and milk dumplings with 1/4 tsp turmeric powder. Apply this mix on face regularly to avoid black spots and brighten face. Prawn masala is simple yet delicious and, like many Indian dishes, it is packed with flavor. 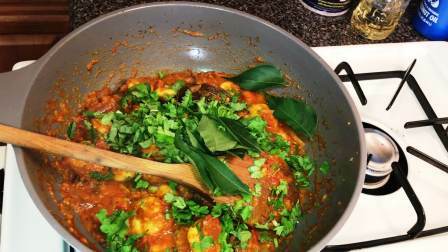 The recipe is quite easy and most of the ingredients are those great spices we expect in Indian cuisine, so don't let the list scare you off. 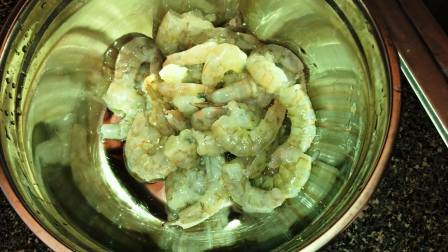 The trick is to cook the prawns quickly or they will get rubbery and chewy. It can pair with rice, roti or phulka. 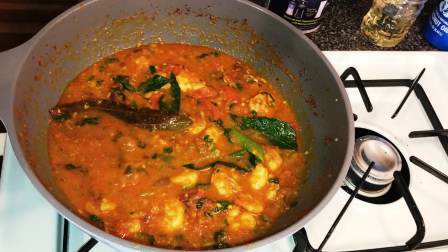 This prawn curry has always been a winner at home for its simplicity and delicious taste. Clean and wash the shrimp with little salt. So that smell will get rid off. Heat a pan and add 3 tsp of oil. 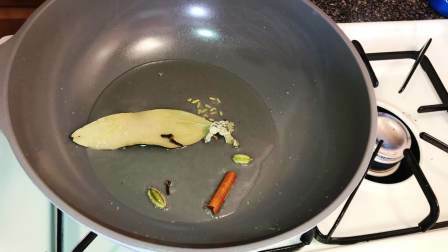 Once oil hot, add Cinnamon stick, Cloves, Cardamom, Bay leaf, fennel seeds, black stone flower. Once masala turn it to brown, add chopped onion and stir it. Then add ginger garlic paste and cook till the raw smell goes off. Add chopped Green chilli and stir it. Once onion wilted add shrimp and stir it. 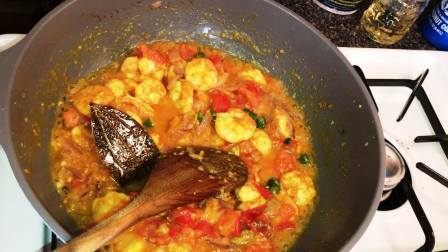 Then add turmeric powder and give a stir. 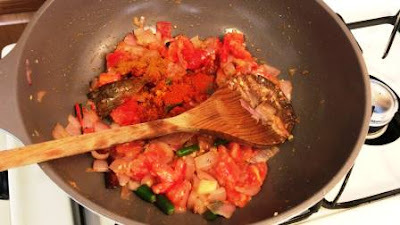 Now its time to add chopped tomato and mix it. 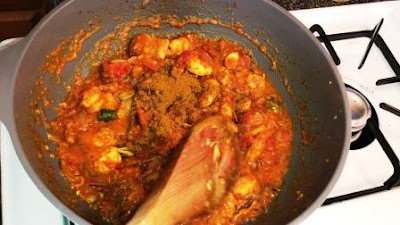 Now add Coriander powder, red chilli powder and give a stir. Cook for 3 minutes. Then add garam masala and cook for 2 minutes. 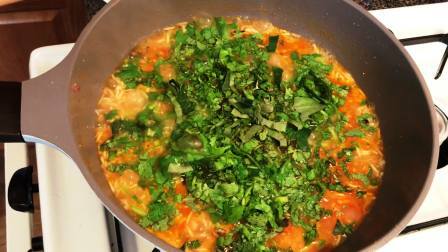 Add chopped coriander leaves and mint leaves and stir it. 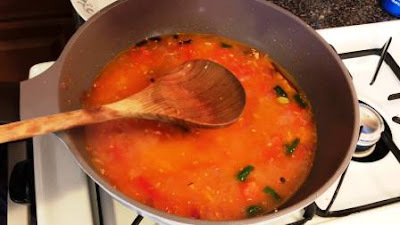 Now add a cup of water and cook for another 5-7 minutes or until water reduced to thick consistency. 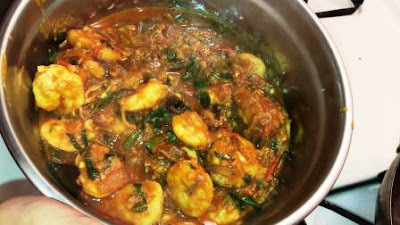 Now tasty Prawn masala is ready to serve. Try and post your comments. 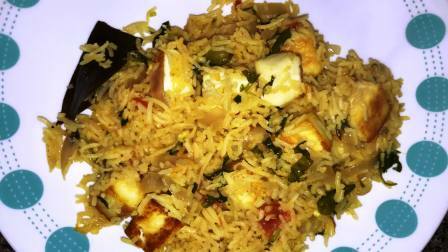 Hi vegetarians.... are you bored of trying the same vegetable biryani all the time. 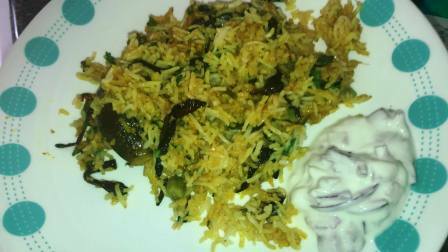 Try this one pot biryani recipe with brinjal. One pot cooking is always top on my list when it comes to quick dinner solutions. This recipe needs very minimal chopping and less preparation work. 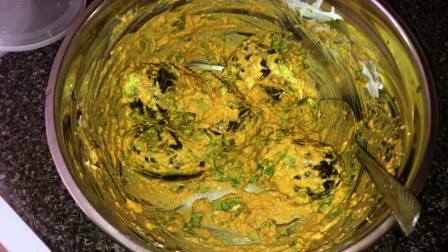 So this recipe has become one of my personal favourite because its so easy and tasty.I marinated the brinjal and tried. 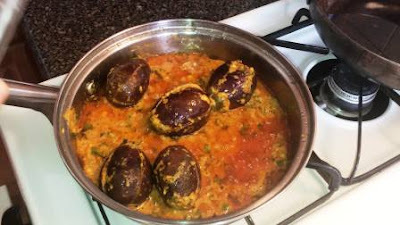 Because when i tried without marinating, brinjal tasted very bland. It has no flavour and salt. So I tried marinating it with lil spice powders and salt. It became super hit. 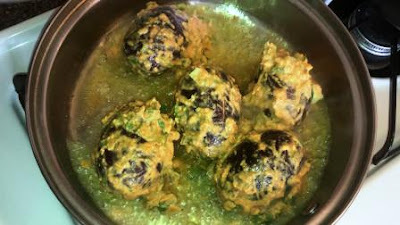 Always try to use whole brinjal for this recipe, otherwise it will become very smashy. And also select the very small brinjals for this recipe so that it gives a nice taste to the biryani. 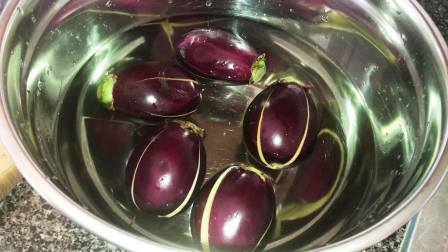 Meanwhile, cut the egg plants in plus shape and make sure they have no warms inside. Wash it thoroughly. In a mixing bowl, add cut brinjal and 3 tsp curd and mix well. Then add green chilli paste, ginger garlic paste, turmeric powder, red chilli powder, coriander powder, garam masala and mix all together well. 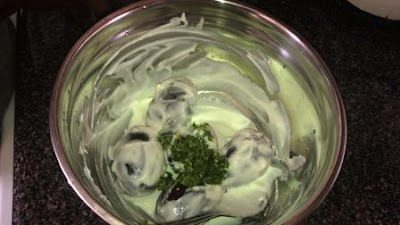 Then add coriander leaves, mint leaves 2 tsp each and mix well. Marinate this mix for 30 minutes. Heat a pan and add 3 to 4 tsp of oil. 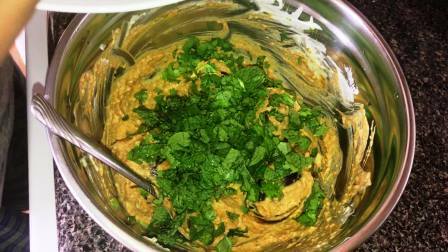 Once oil hot, add marinated brinjal mix and give a stir. Close the lid and cook until raw smell of brinjal goes off. 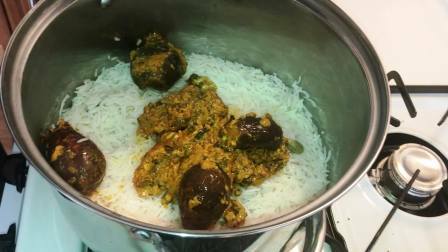 While this brinjal masala is cooking, heat a water in a rice pan and add Cinnamon, Cardamom, Cloves, Bay leaf, black stone flower and boil. 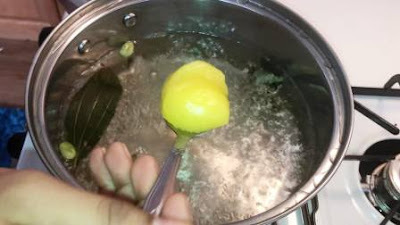 Once water is boiled, add 1 tsp of ghee . 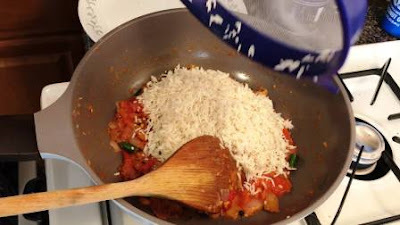 Strain the soaked water from basmati rice and add it. 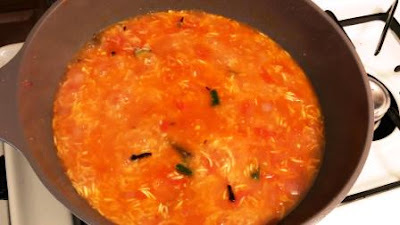 Cook till 75% and strain water. 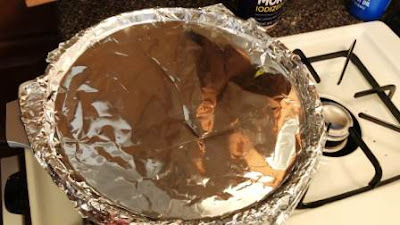 Now in a separate pan, We are going to make a layers for dum. In the first layer add half of the cooked rice. In the next layer add cooked brinjal masala. In the third layer add rice again. 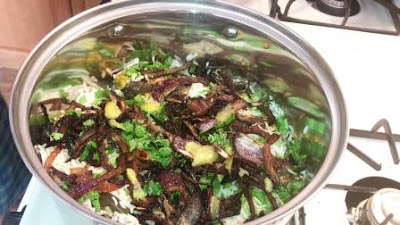 In the top layer which is fourth layer add fried onions and coriander, mint leaves. If you are cooking more rice repeat the layer order again and again. In the final layer add 1 tsp of ghee. Now cover with an aluminium foil, and cook in very low flame for 30 minutes. Finally remove the cover and gently stir the briyani. 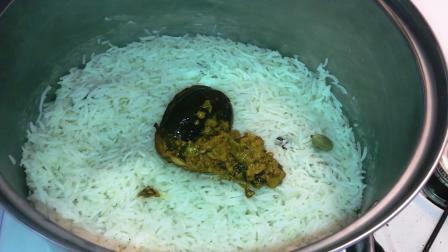 Now fantastic brinjal briyani is ready to serve.